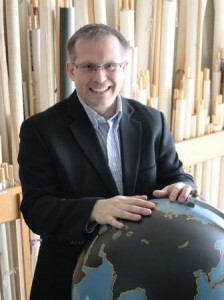 BRANDON, MB – A Brandon University (BU) professor will be a keynote speaker at the first-ever international conference on spiritual tourism, the United Nations World Trade Organization (UNWTO) Spiritual Tourism for Sustainable Development, later this month in Viet Nam. Dr. Daniel Olsen, Chair of BU’s Geography Department, is one of a handful of scholars in the world studying the links between tourism and spiritualism. Tourism, Religion and Spiritual Journeys, which he co-edited and released in 2006, has become the seminal book on this emerging sector. The two day conference will draw policy makers, spiritual leader, and representatives from the tourism industry, NGOs and academic institutions. Dr. Olsen is the only academic invited to speak and his remarks will set the context for the event, from which a declaration on spiritual tourism is expected. “In 2012, a billion tourists crossed international borders, many seeking spiritual encounters,” Dr. Olsen says. “This type of travel transcends all religions and includes virtually all destinations. We need to talk about it now to properly prepare.” The conference runs November 21-22 in Ninh Binh City, Viet Nam.